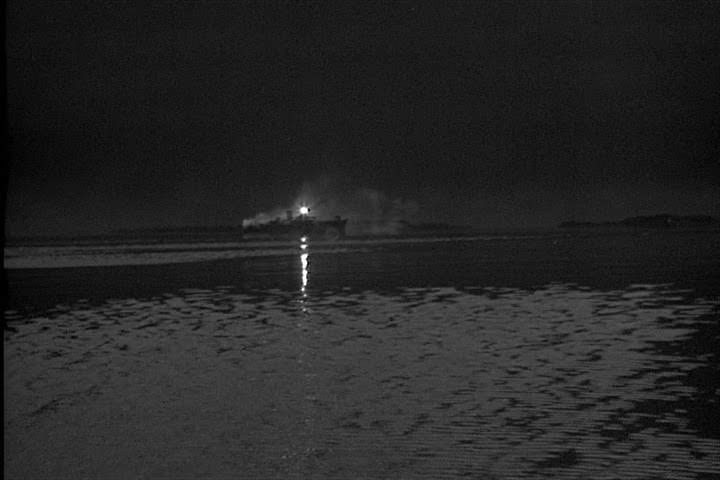 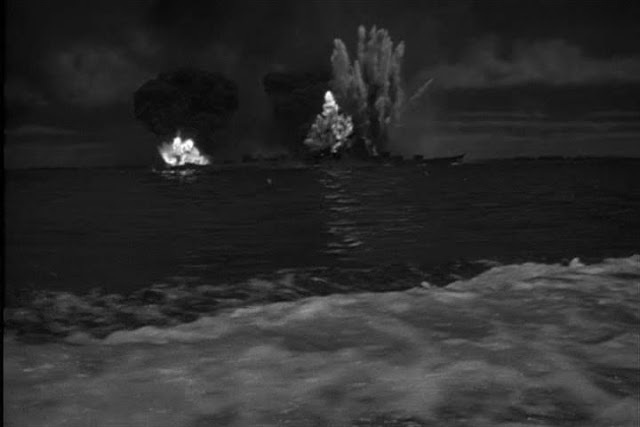 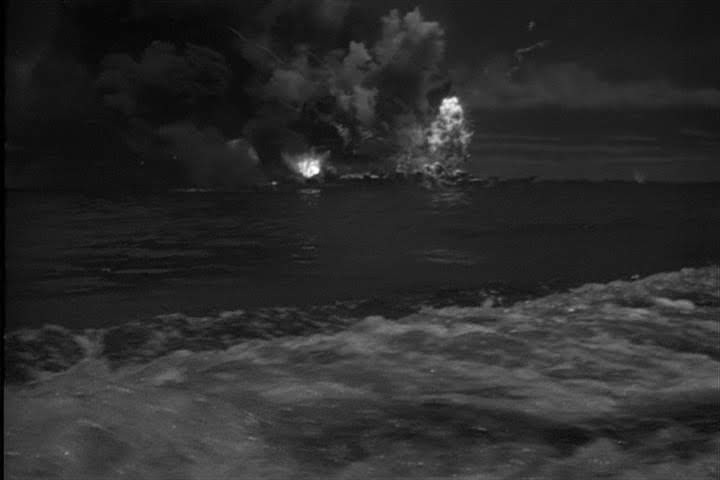 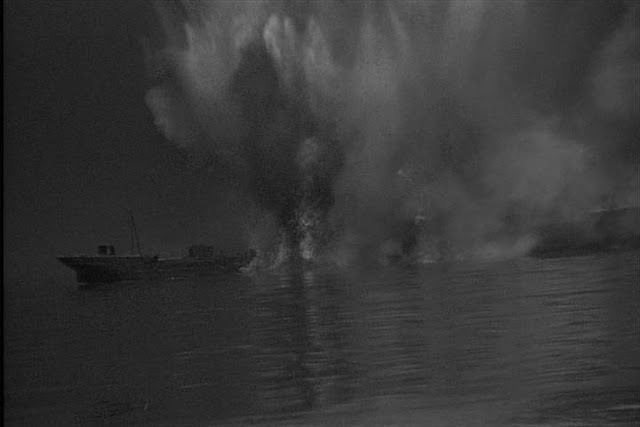 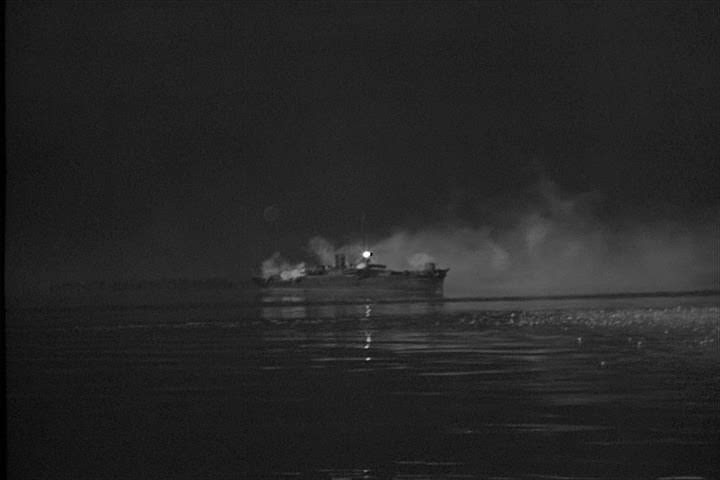 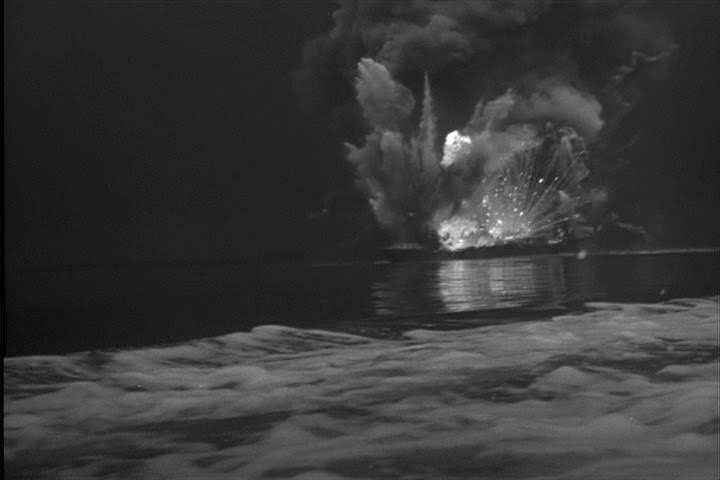 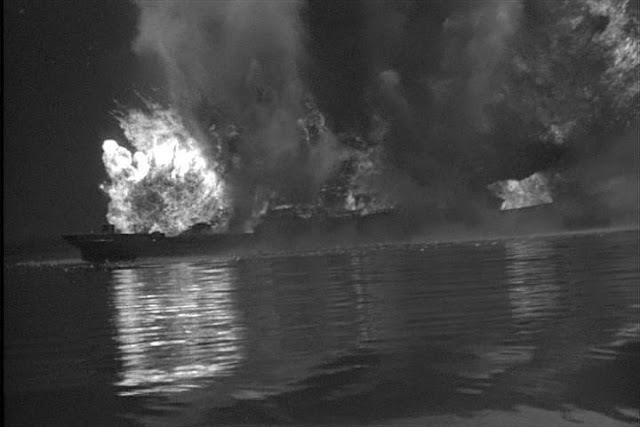 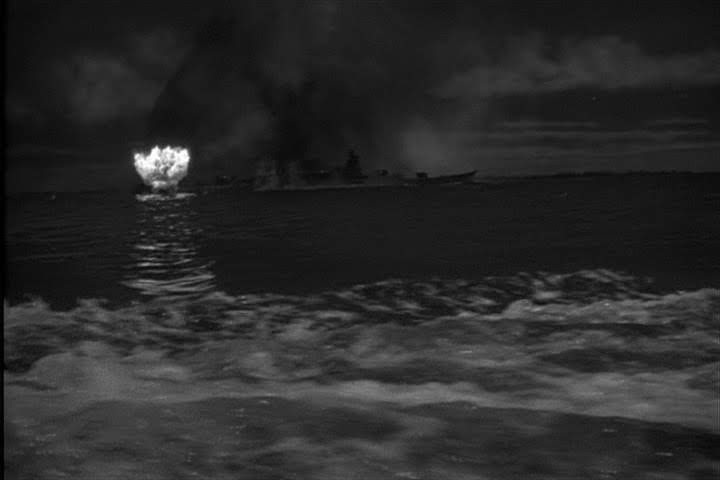 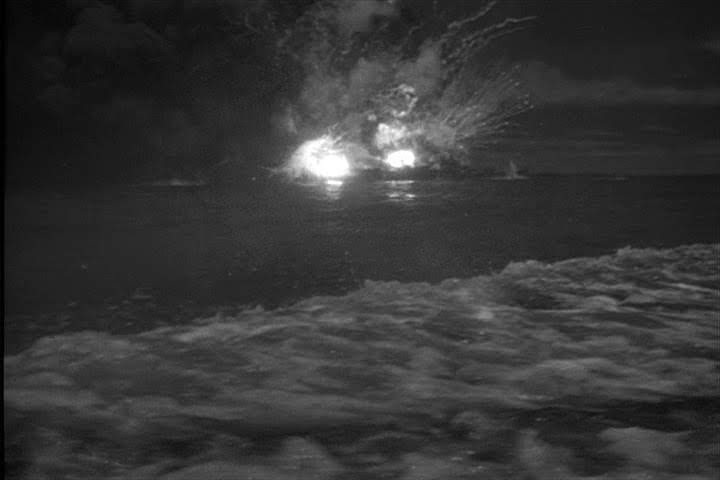 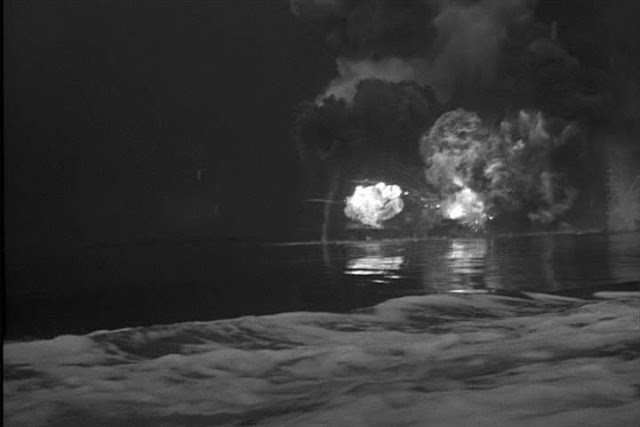 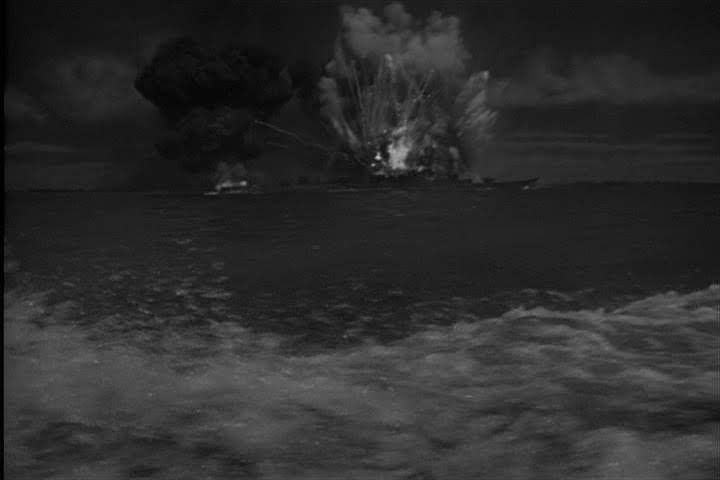 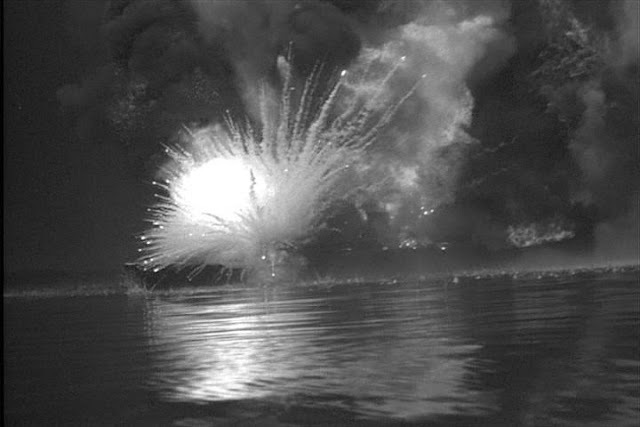 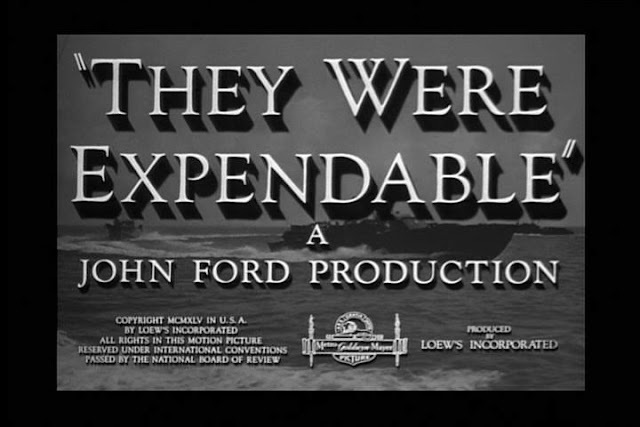 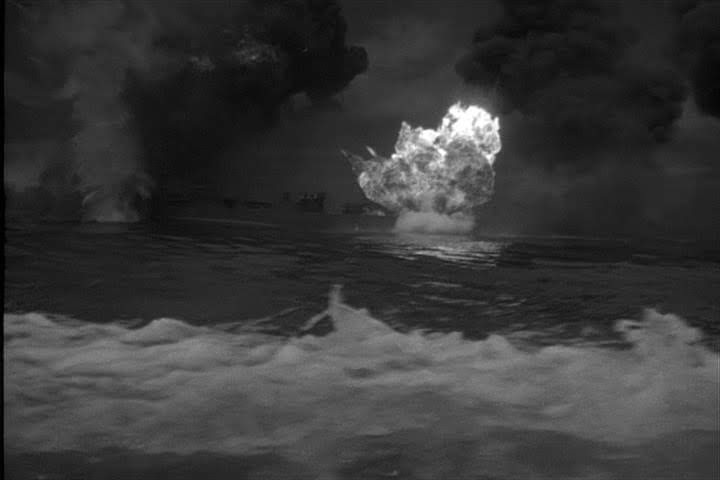 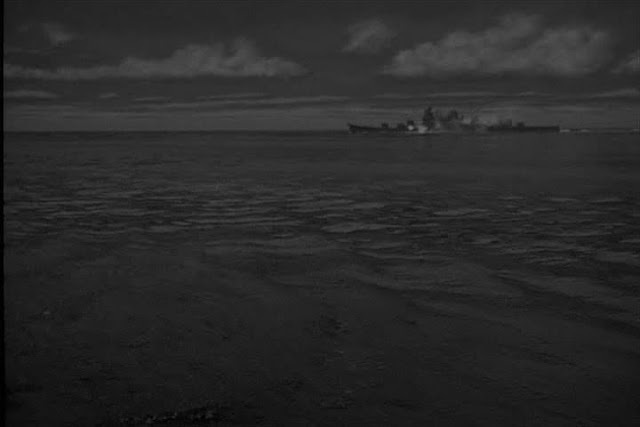 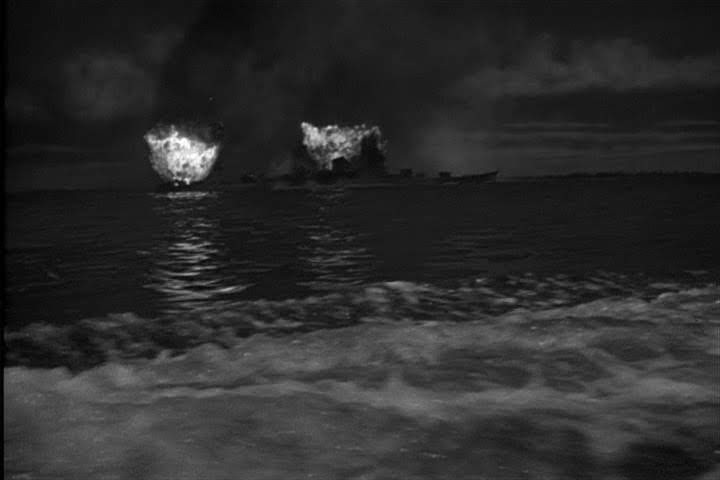 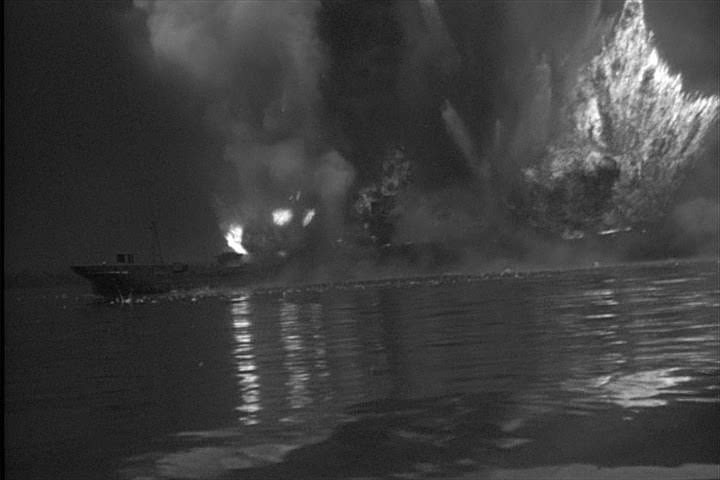 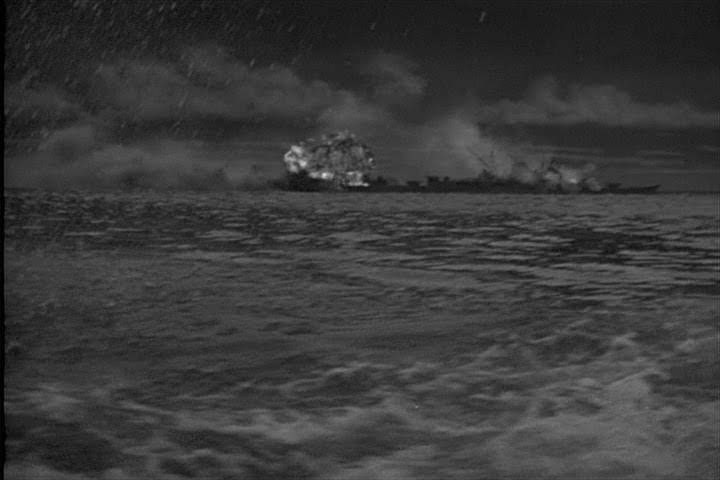 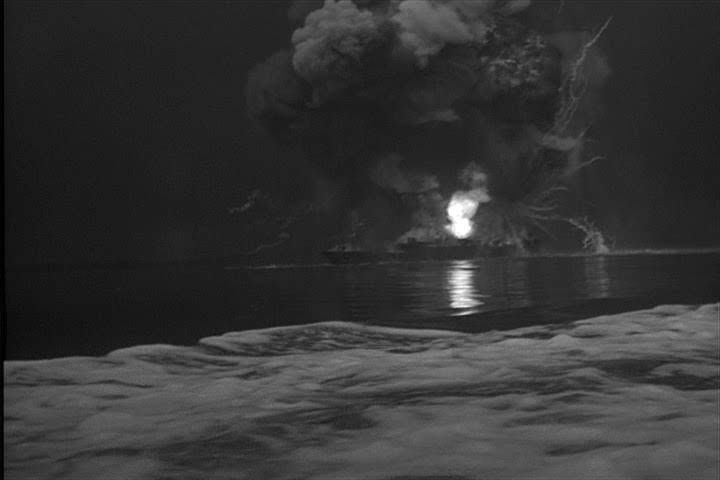 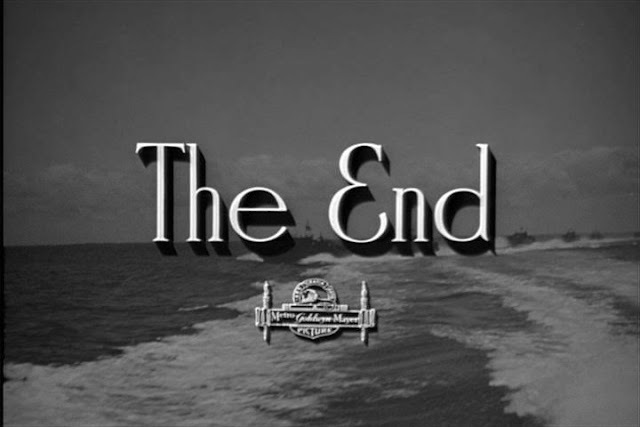 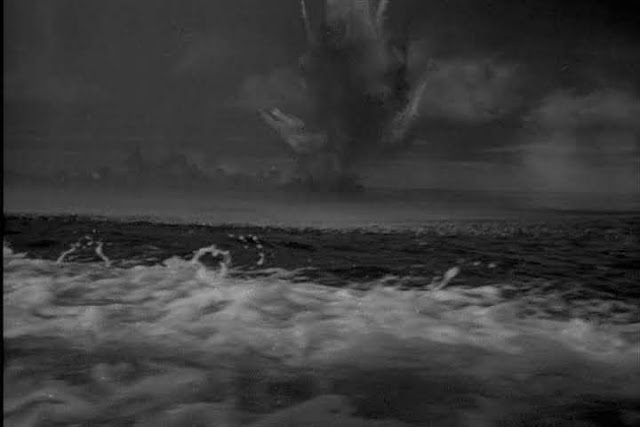 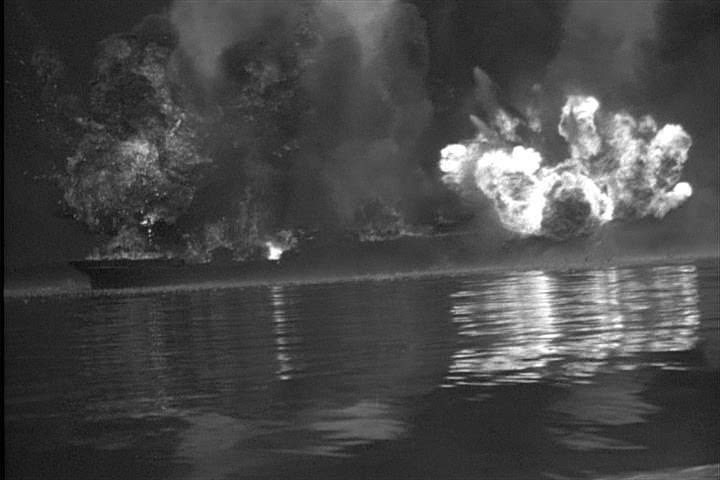 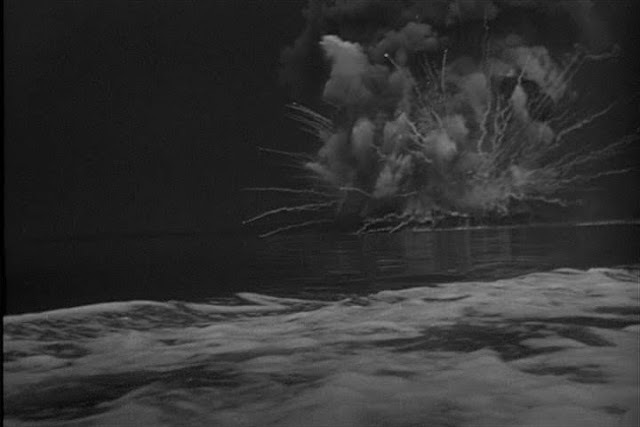 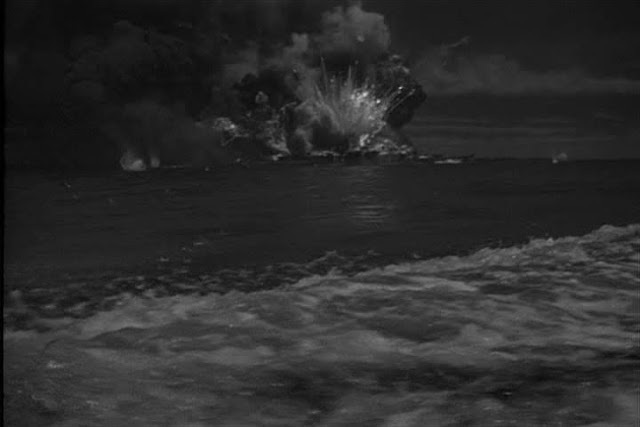 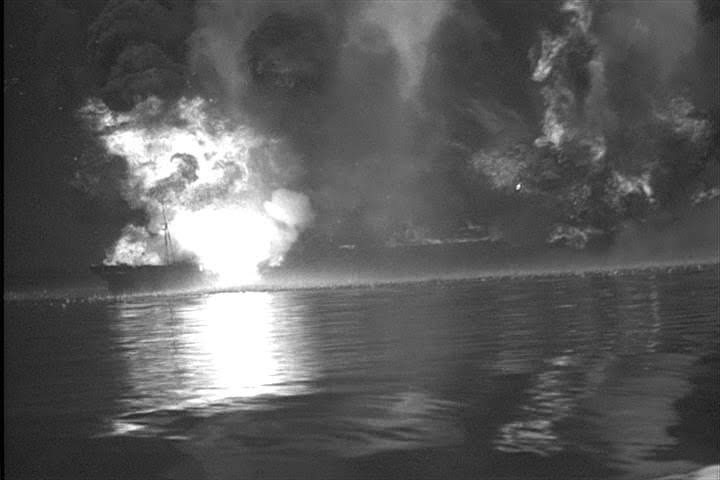 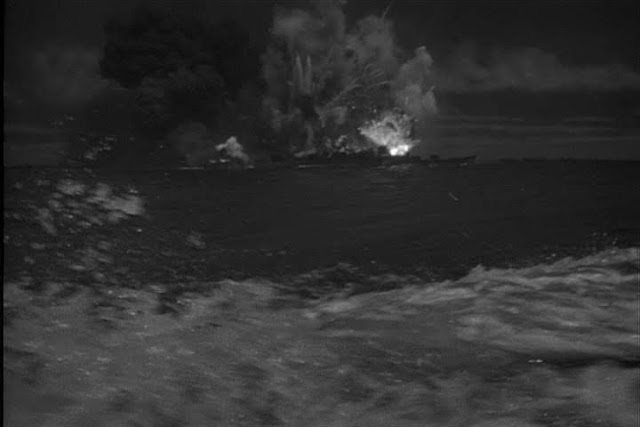 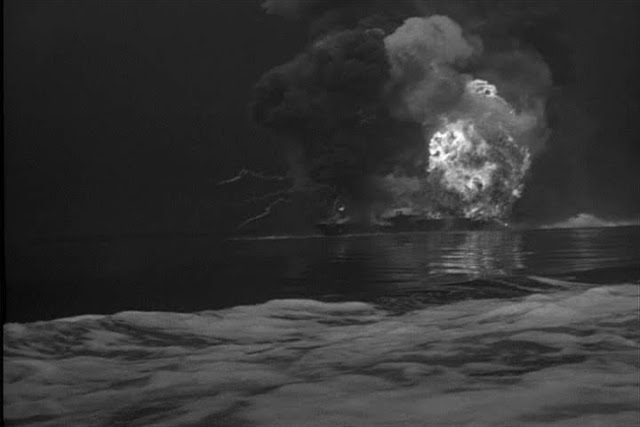 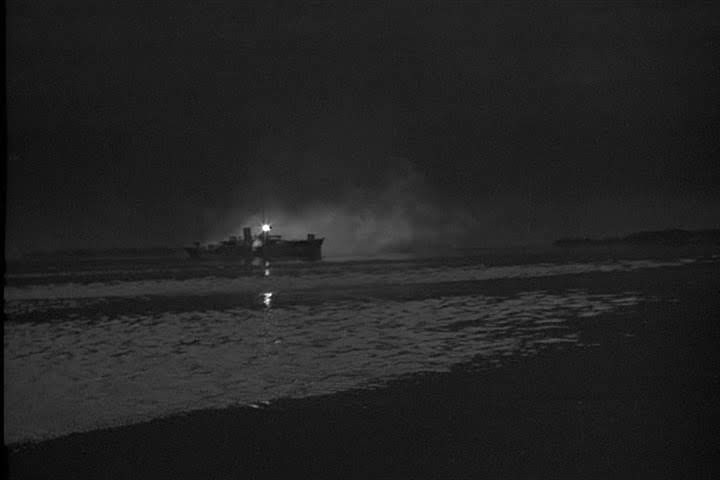 Some spectacular pyrotechnic work by Arnold A. Gillespie's crew on display as a miniature Japanese cruiser is hammered by torpedoes from PT Boats in this John Ford directed movie. 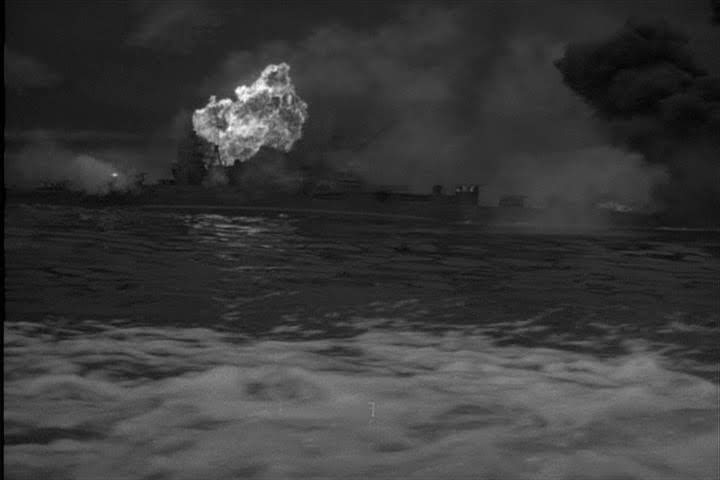 The miniature cruiser was built at 1/16th scale and painted black for the day for night scenes it appears in. 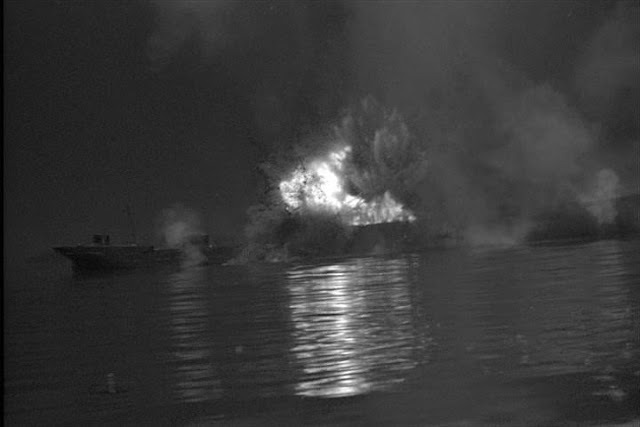 The explosions were all set off from steel mortars on the decks and in the water in front of the model which was not unduly damaged. 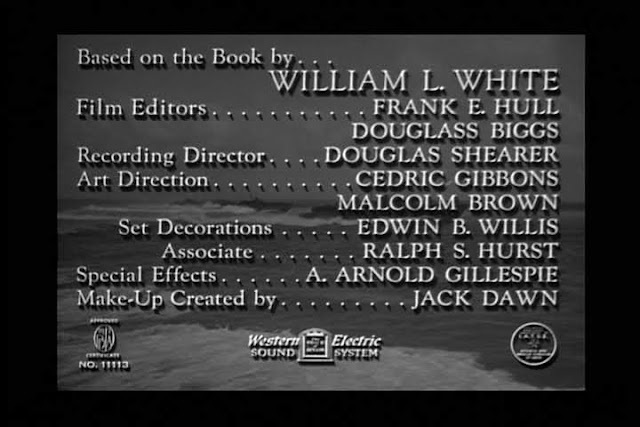 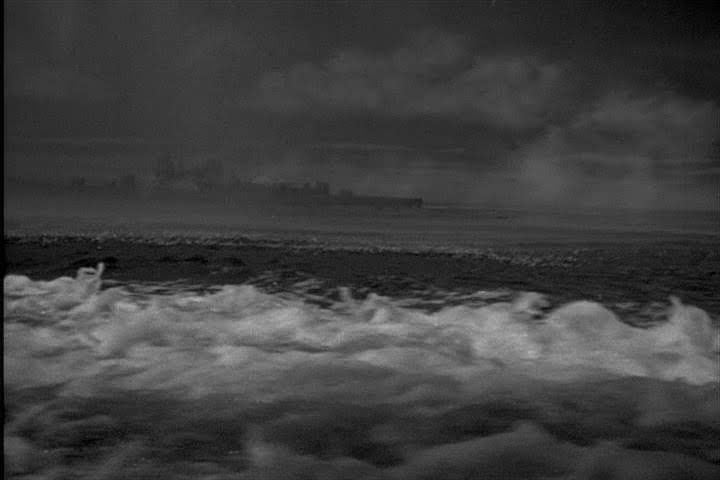 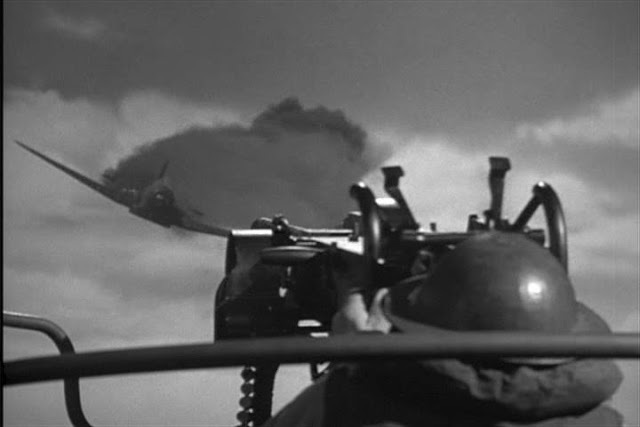 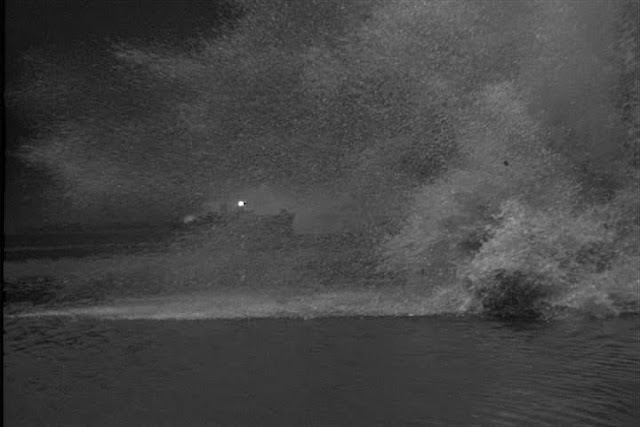 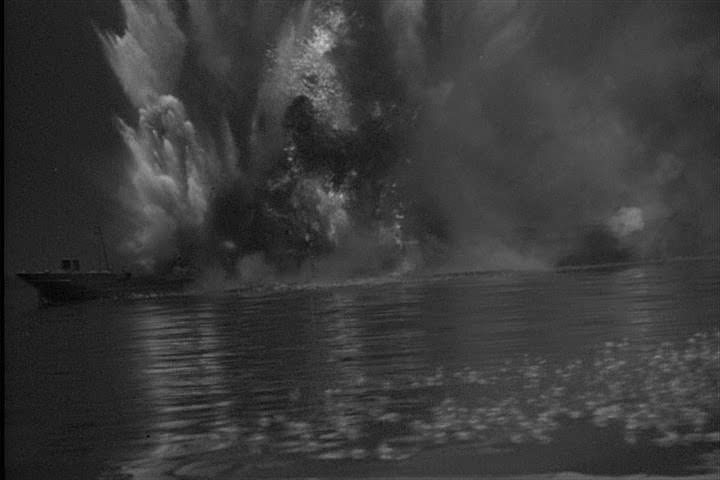 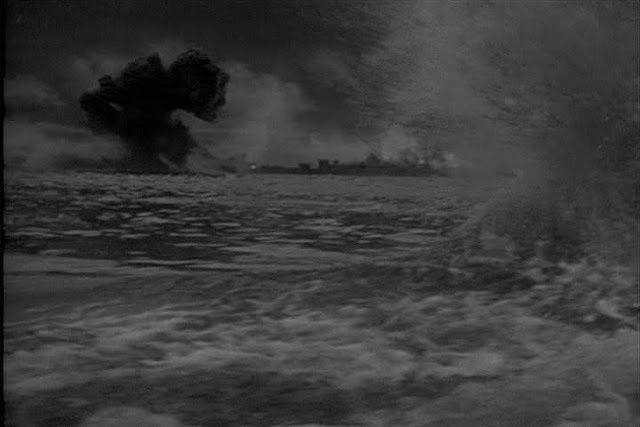 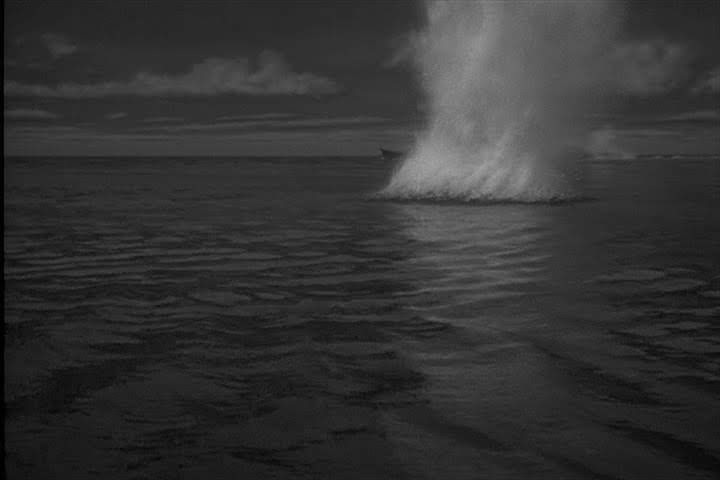 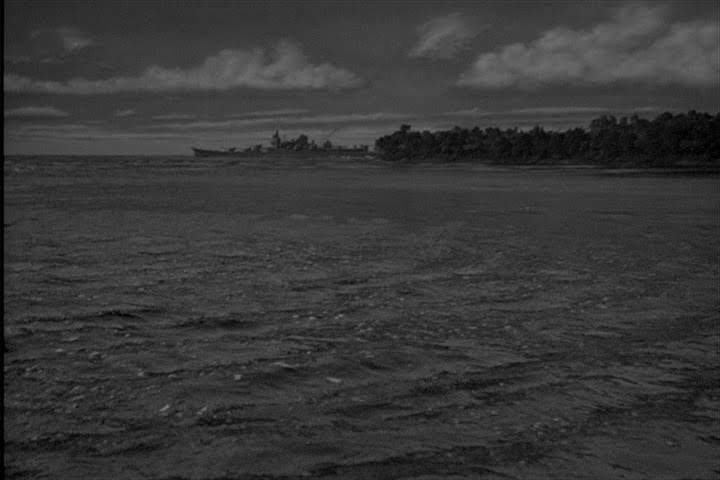 An outboard motor was employed in MGM's lot 3 tank to produce the wake from the foreground PT boats P.O.V. (point of view).